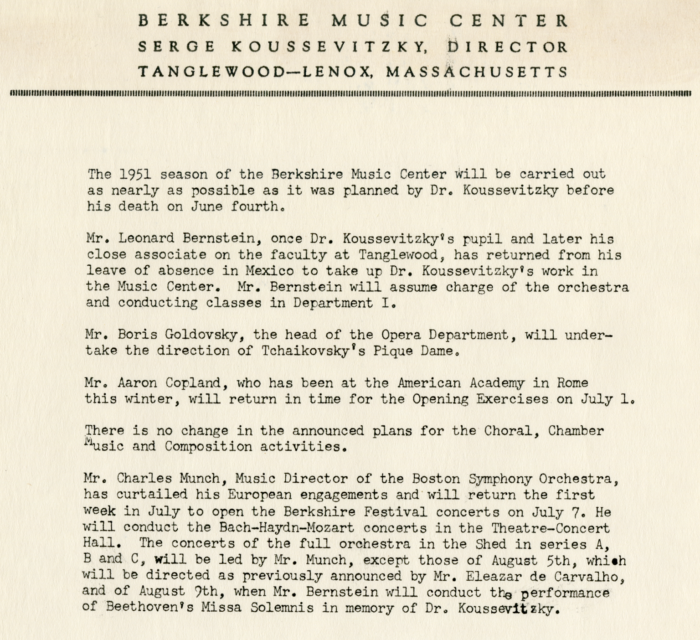 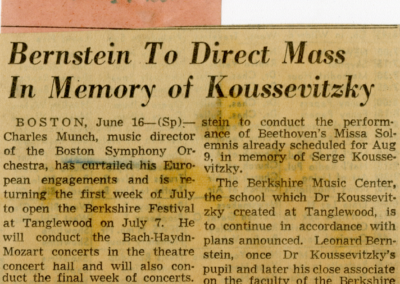 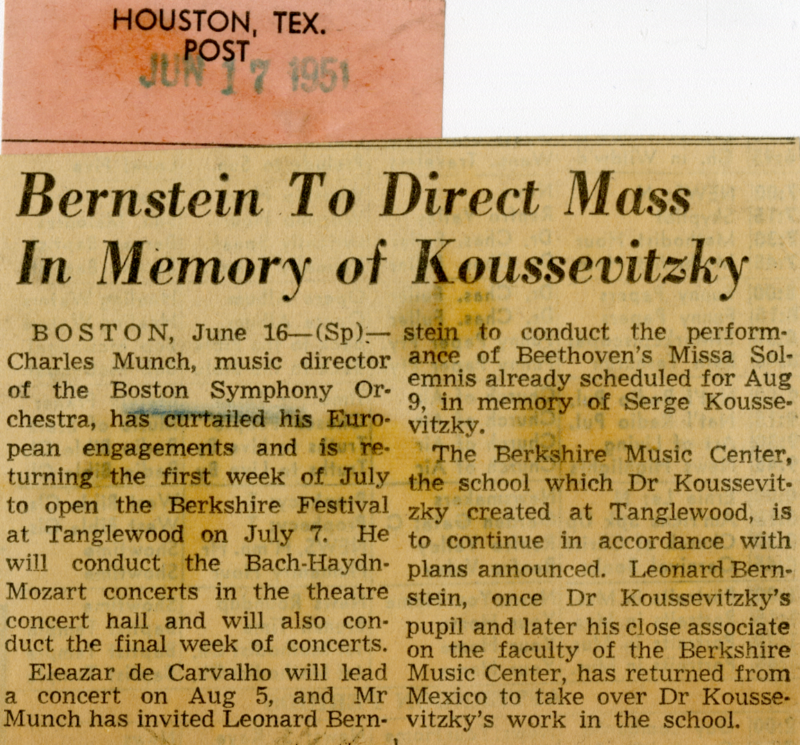 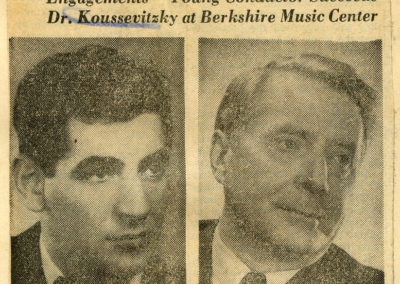 Following the death of his teacher and mentor Serge Koussevitzky on June 4, 1951, Leonard Bernstein takes on the post of Head of the Orchestral Conducting program at the Tanglewood Music Center. 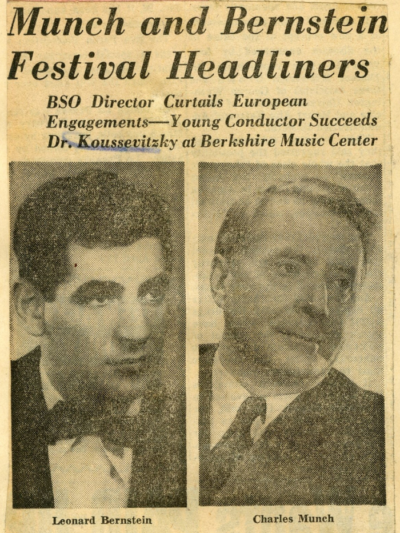 Bernstein, Charles Munch, and Aaron Copland divide up Koussevitzky’s conducting duties for the season. 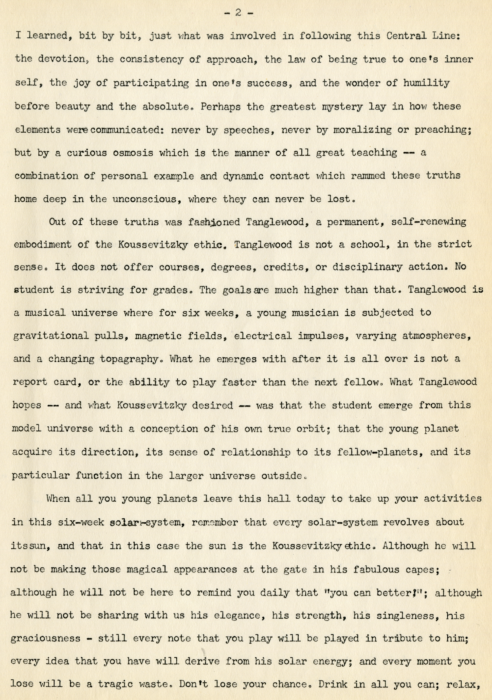 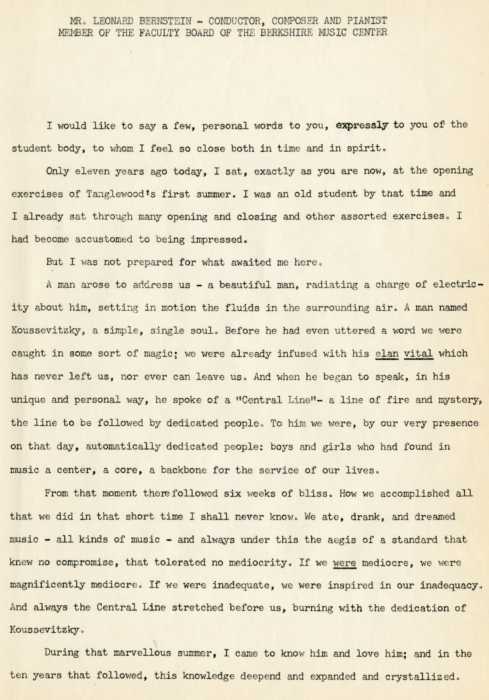 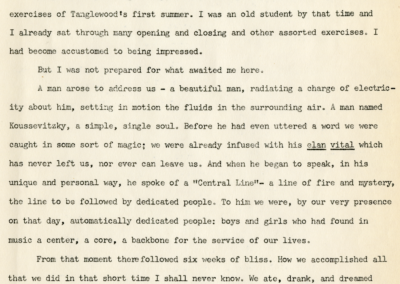 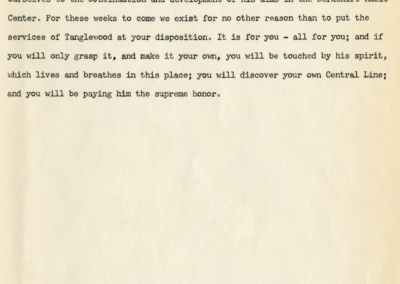 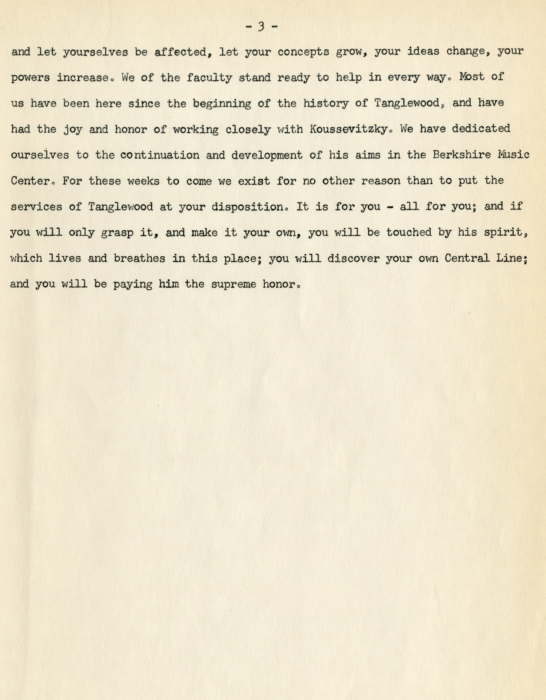 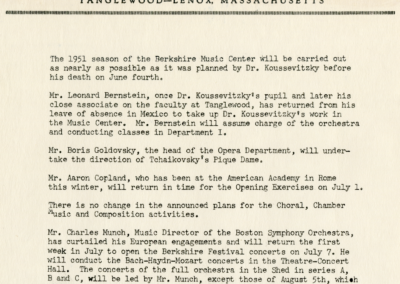 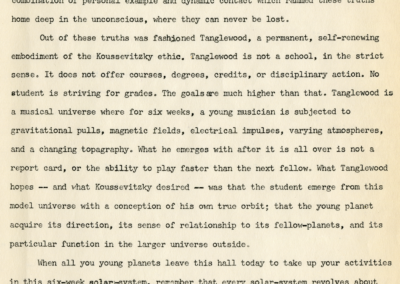 Below are a Tanglewood Music Center memo, Bernstein’s Opening Remarks from the opening concert at Tanglewood, and newspaper clippings.